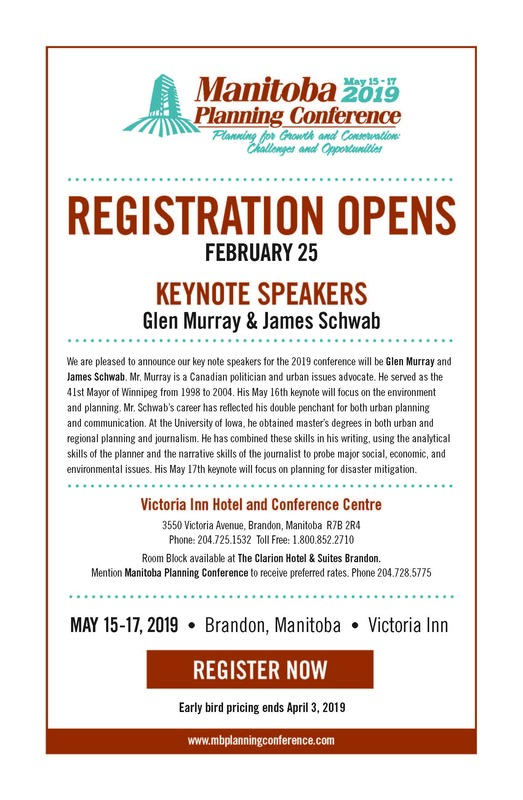 The Annual General Meeting of the Manitoba Professional Planners Institute will be held on Wednesday, May 15 at the Victoria Inn, 3550 Victoria Avenue, Brandon MB from 5 - 6:30 pm. We are now accepting nominations for council positions. Deadline for submissions is Monday, April 15, 2019. Council terms end 2021 and President-Elect ends 2020. See below for nomination forms. Have you always thought that your friend or colleague in planning deserves to be recognized for their exceptional service or contribution to the profession? Do you know of someone in the community who models 'good planning principles' in their everyday life or work and has increased the profile of planning? Nominate them for an MPPI Award by filling out the below form and submitting it with the appropriate documentation by Wednesday, May 1, 2019. Awards will be presented at the Awards Luncheon during the 2019 Manitoba Planning Conference in Branon. Visit www.mbplanningconference.com for more information and to register. Welcome to the website of the Manitoba Professional Planners Institute. 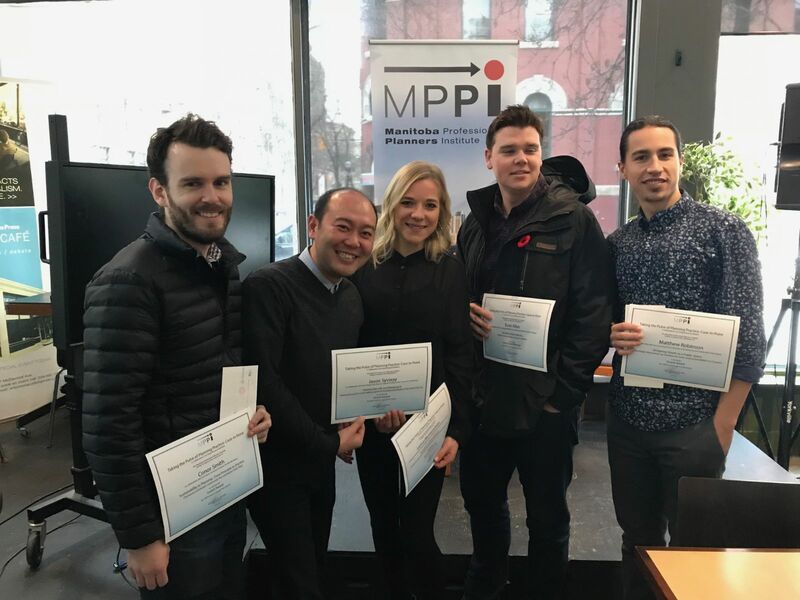 Founded in 1988, MPPI is the Manitoba affiliate of the Canadian Institute of Planners and represents over 150 planning professionals and students across Manitoba. Our members work in the public service and the private sector, in a variety of areas such as land use planning and development, public engagement, environmental resource management, heritage conservation, social and community planning, transportation planning and economic development. Our mission is to promote pride and excellence in professional planning as it applies to the stewardship of the natural and built environments and to the building of healthy communities. Explore this website to find out more about MPPI activities and events, continuous professional learning, how to become a member, and why you might choose to study and work in the dynamic field of planning in Manitoba.